Zandile Gwebu is a housewife and is one of the many women from the communty at Dvumbe who got involved with caring for the children in the community at Dvumbe over 5 years ago. They used to meet at the local pastors home and cook for needy children and started a pre-school under a tree. This is where Claypotts found them and built a classroom for the children. From there Claypotts built a kitchen and a church. The women are also involved in gardening to supplement the childrens meals. Zandile and another woman focused on teaching the children and the others cooked. Even though they had no teaching experience they did the best they could, by 2014 only Zandile was the only one left to teach the children whilst the other women focused on gardening, cooking and engaging in other employment opportunities they could get, such as ploughing peoples big fields for extra income to take care of their families. She herself comes from a big family; she is the 5th of 12 children in her family. She got pregnant in high school and dropped out and got married and moved to the community of Dvumbe with her husband. She now has 6 children; 4 boys and 2 girls, aged between 14 and 2 years. Seeing how passionate and dedicated Zandile was for the children she was asked if she would be interested in going back to school and she and her whole family were excited and her school going children at first thought it was strange that their mom is also going to school but are happy for her and they all wish her the best. Her unemployed husband and a female relative are looking after the children at home but she gets to see them on weekends. 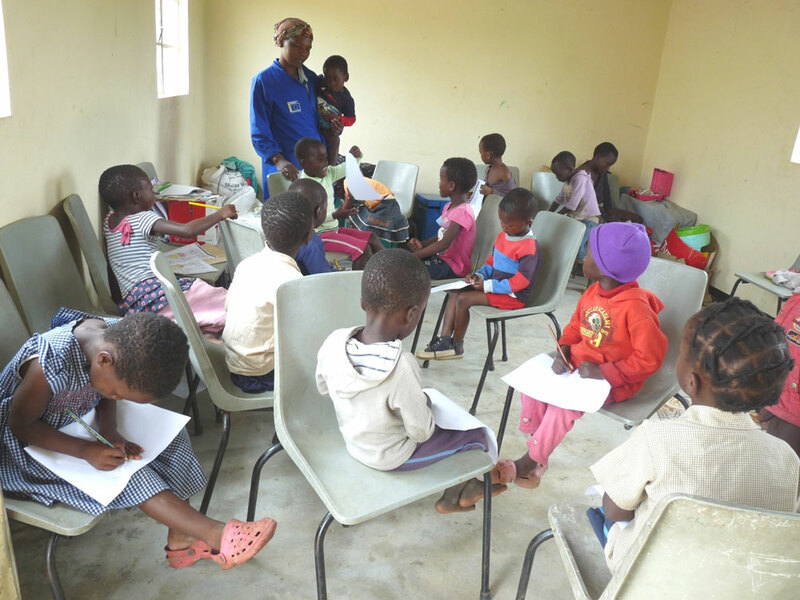 She is studying to become a qualified Pre-school teacher at a college in Manzini. Zandile says she looks forward to learning how to make a difference in the lives of the children and her community through what she learns at school. She is so thankful to her sponsors, Claypotts and Changing Futures, for the opportunity to be back at school, something she thought was no longer possible for her.